Dolly Rebecca Parton (born in Sevierville, Tennessee on January 19, 1946) is an American, Grammy Award-winning country music singer, songwriter, composer, author, actress, and philanthropist. In 2006, Parton was a Kennedy Centre honoree for her lifetime contribution to American culture and the performing arts. Parton is the most-honored female country performer of all time. She has achieved 25 RIAA certified gold, platinum and multi-platinum honors. She has had 26 songs reach No. 1 on the Billboard country charts, a record for a female artist. She has 41 career top 10 country albums, a record for any artist, and 110 career charted singles over the past 40 years. All inclusive sales of singles, albums, hits collections, paid digital downloads and compilation usage during Parton's career have reportedly topped 100 million records around the world. Parton began performing as a child, singing on local radio and television programs in East Tennessee. At age 9 she was appearing on The Cat Walker Show on WBIR-TV in Knoxville, Tennessee, and at 13, she was recording on a small record label, Gold band, and appearing at the Grand Ole Opry in Nashville, Tennessee. The day after she graduated from high school in 1964 she moved to Nashville, taking many traditional elements of folklore and popular music from East Tennessee with her. Parton's initial success came as a songwriter, writing hit songs for Hank Williams, Jr. and Skeeter Davis. She signed with Monument Records in late 1965, where she was initially pitched as a bubblegum pop singer, earning only one national chart single, Happy, Happy Birthday Baby, which did not crack the Billboard Top 100. Additional pop singles also failed to chart. The label agreed to have Parton sing country music after her composition, Put It Off Until Tomorrow, as recorded by Bill Phillips (and with Parton, uncredited, on harmony), went to No. 6 on the country charts in 1966. Her first country single, Dumb Blonde (one of the few songs during this era that she recorded but didn't write), reached No. 24 on the country charts in 1967, followed the same year with Something Fishy, which went to Number 17. The two songs anchored her first full-length album, Hello I'm Dolly. During the mid-1970s, Parton had her eyes set on expanding her audience base. The first step towards meeting this goal was her attempt at a variety show, Dolly! Even though it had high ratings, the show lasted merely one season, with Dolly Parton asking out of her contract due to the stress it was causing her vocal cords. In 1987 she tried a second TV variety show, also titled Dolly, which lasted only one season. Aside from 9 to 5, Parton's music has been featured prominently in other films. In 1982, she recorded a second version of I Will Always Love You for The Best Little Whorehouse in Texas; the second version proved to be another #1 country hit and also managed to reach the pop charts, going to #53 in the United States. I Will Always Love You has been covered by many country artists, including such music legends as Linda Ronstadt, on Prisoner In Disguise and Kenny Rogers on his 1997 album Always and Forever, which sold over 4 million copies worldwide, and by LeAnn Rimes. In 1992, it Whitney Houston performed it on The Bodyguard soundtrack. Houston's version became the best-selling hit ever written and performed by a female vocalist, with worldwide sales of over 12 million copies. She was honored in 2003 with a tribute album called Just Because I'm a Woman: Songs of Dolly Parton. The artists who recorded versions of Parton's songs included Melissa Etheridge, Alison Krauss, Shania Twain, Me'Shell NdegeOcello, Norah Jones and Sinead O'Connor; Parton herself contributed a rerecording of the title song, originally the title song for her first RCA album in 1968. Parton was awarded the Living Legend medal by the U.S. Library of Congress on April 14, 2004, for her contributions to the cultural heritage of the United States. This was followed in 2005 with the National Medal of Arts, the highest honor given by the U.S. government for excellence in the arts. On December 3, 2006 Dolly Parton was honored by the Kennedy Center for the Performing Arts for her lifetime of contributions to the arts. Other 2006 honorees included Zubin Mehta, Steven Spielberg, Smokey Robinson and Andrew Lloyd Webber. During the show, some of country music's biggest names came to show their admiration. Carrie Underwood performed Dolly's hit Islands in the Stream with original duet partner Kenny Rogers. Alison Krauss performed Jolene and duetted Coat of Many Colors with Shania Twain. Vince Gill performed I Will Always Love You which he duetted with Dolly. Jessica Simpson sang 9 to 5 but left the stage mid-way through after messing up the lyrics. Reba McEntire & Reese Witherspoon also came to pay tribute. Dolly Parton belonged to such a family that had the flair of creativity and passion for music, poetry and song composition. Her family was, as she described them, dirt poor and lived in a rustic, dilapidated one-room cabin in the Great Smoky Mountains, in Locust Ridge, Tennessee. Parton's parents were parishioners in the Assembly of God Church, a Pentecostal denomination, and music was a very large part of her church experience. Today, when appearing in live concerts, she frequently performs spiritual songs. Patron, however, professes no denomination, claiming only to be Spiritual while adding that she believes that all the Earth's people are God's children. Country music has been dominated by different artists that have defined the very essence of the wonderful world of this music genre. The one artist that would top the list of these legends for any music fan has to be the great Dolly Parton. Born on the 19th of January in the year 1946, she is considered to be one of the most talented women to ever grace the world of entertainment as her talents could be seen from her years of singing, as well as acting. Her fame and popularity in the world of country music has seen her being labeled as one of the most successful female country artists of all time. Such is her iconic history that she was honored as the Queen of Country Music. Dolly Parton holds the record with the most number of songs to peak out at the number one spot on music charts with a total of twenty six. She also has the record for having the most albums to reach the top 10 positions on music charts with a mammoth total of forty two. As a result of all this, she was successful in selling a whopping one-seventy-four million records of her music across various countries around the globe. She has won numerous awards recognizing her talent including eight of the prestigious Grammy Awards, out of a record total of forty five nominations for the award. It would be an honor and a dream for any country music fan to watch her perform her music once again in front of a live audience. Buy your Dolly Parton Tickets today and get ready to fulfill that dream. The average Dolly Parton tickets price will cost you between $2161 and $4222, if you are looking for the cheapest seats then catch the event being held at the Grand Ole Opry House, Nashville on 12/10/2019. 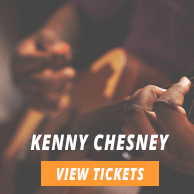 The average ticket will cost you the highest on 12/10/2019 at the Grand Ole Opry House, Nashville. Minimum get in price is for Dolly Parton tickets is $60 for the event being held at the Grand Ole Opry House, Nashville on 12/10/2019 , there are some venues that have a much higher get in price, for instance the cheapest seats at the Grand Ole Opry House, Nashville on 12/10/2019 will set you back $60. 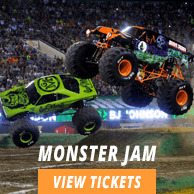 Do you offer free home delivery on cheap dolly parton ticket? No, the charges for home delivery are included in the total price of Dolly Parton Tickets and cannot be removed.